For more than 78 million obese adults in the United States who can’t lose the weight on their own, another surgical option will soon be on the market. The U.S. Food and Drug Administration on Jan. 14 approved an implantable device that suppresses hunger and stomach contractions. The Maestro Rechargeable System is the first surgical device available that stimulates the body’s nervous system to control patients’ appetites. Adults with body mass indexes, or BMIs, over 35 who haven’t been able to lose the weight in five years and who have another weight-related condition such as diabetes will be eligible for the device. 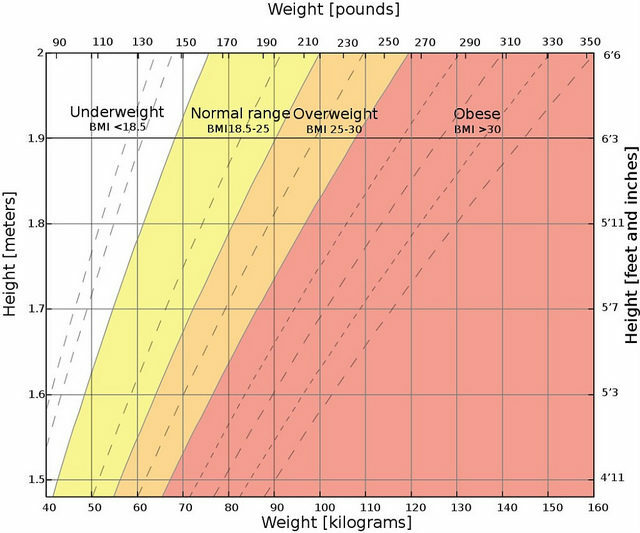 The National Institutes of Health categorizes a BMI over 25 as overweight and more than 30 as obese. A woman who is 5 feet 4 inches tall and 166 pounds (the average measurements in the U.S.), for example, has a BMI of 28.5. The new device is implanted in the abdomen, with wires that attach to the vagus nerve in between the stomach and esophagus. 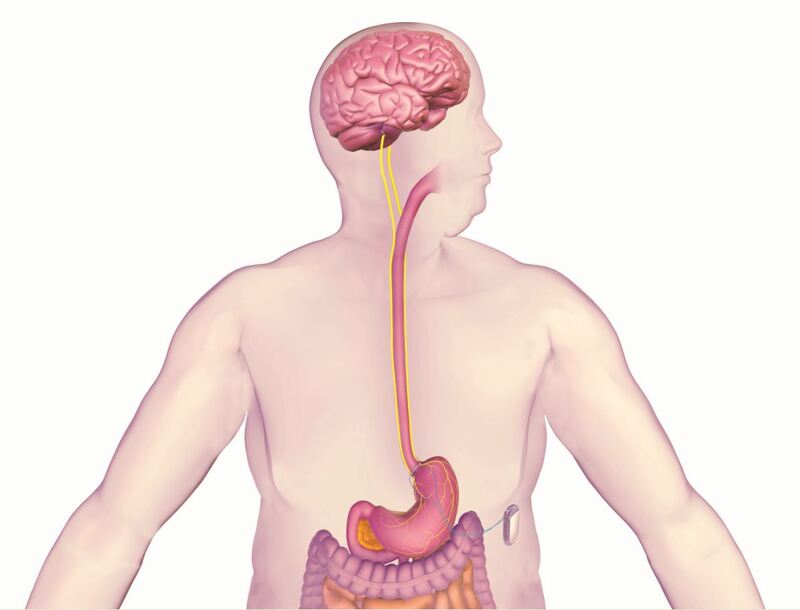 The vagus nerve stretches from the brain all the way down to the stomach. It functions as a control center for a lot of the stomach’s activities: when to expand to fit more food, when to secrete chemicals to break down food and when to contract to process the food. It also signals to the brain when the body is full so we can stop eating. By sending electric pulses to the vagus nerve every several minutes when the patient is awake — similar to the way a pacemaker signals to the heart — the Maestro System blocks pulses to the brain to trick the body into feeling full. Current weight loss interventions focus more on the mechanics of eating than the signaling behind it. Gastric banding directly limits how much a person can eat, and gastric bypass rearranges the digestive system to limit food intake and change how the body absorbs nutrients. With the Maestro System, patients don’t have to change how they eat, and can turn the device off if they no longer need or want it by reprogramming it with an external remote. In the phase III clinical trial before the FDA approved the system, half of participants with an active device lost 20 percent of their excess weight in one year, while about one-third lost 25 percent. For the control group with an inactive device, these numbers were 32 percent and 23 percent, respectively. A 20 percent weight loss is equivalent to a 5 foot 4 inch tall woman who was 204 pounds (with a BMI of 35) losing 41 pounds. This would move the woman from the obese category to the overweight one, lowering many health risks that accompany obesity such as heart disease, stroke and some cancers. The FDA’s approval was supposed to hinge on a 10 percent improvement with the active device over the control group. Despite the fact that this goal wasn’t met, the agency decided the weight loss benefits of the device outweighed the risks, according to the agency’s press release. Risks include vomiting, abdominal pain, heartburn and nausea. EnteroMedics of St. Paul, Minn., the manufacturer, will continue to collect safety and efficacy data from at least 100 patients over the next five years. The device should be on the market by the end of this year and the entire procedure will likely cost between $20,000 and $30,000, according to the Los Angeles Times. it’s pleasant to read this web site, and I used to visit this blog everyday. Where in Texas can I find a Dr. that’s doing this procedure? Thanks. How big is the incision? Can you see it? “Risks include vomiting, abdominal pain, heartburn and nausea” honestly, I was scared by this, cause I don’t know what else will this device bring. Is there a doctor in Indiana that does this surgery? I feel hungry all the time and am a stress eater -will it help that? Need this. Just about to schedule full gastric bypass, and don’t want to do it. Can’t do the sleeve or band due to having Barrett’s esophagus. Help needed! !